Ships tomorrow if you order in the next 22 hours 10 minutes. Calcium is found in milk, cheese, yogurt, and other dairy products, and is one of the most important minerals required by the human body for optimal health. Even though it plays such an important role in healthy growth and development, many people may not get the recommended amount from their daily diets. 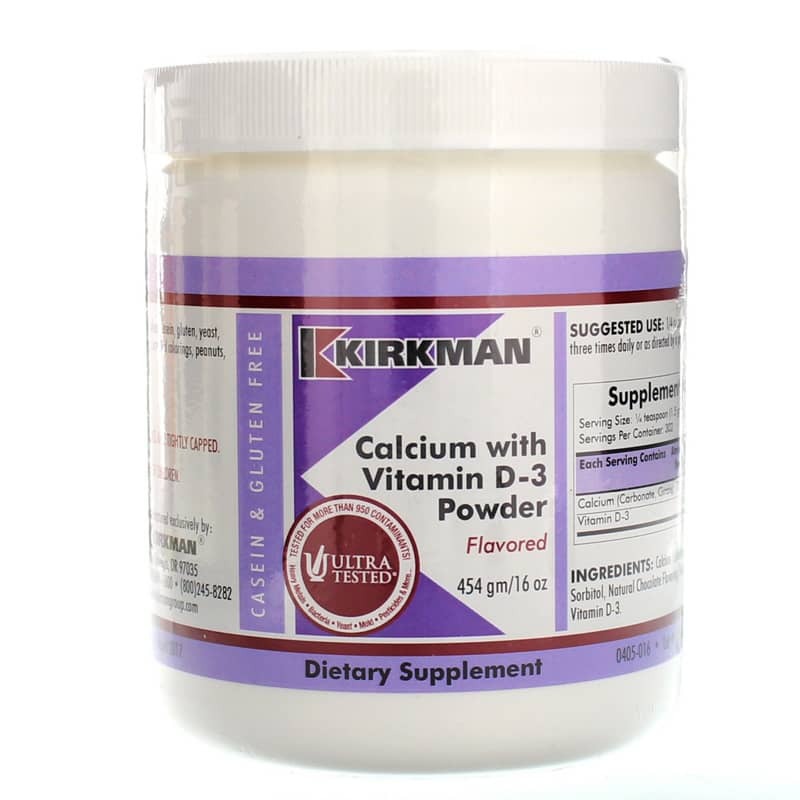 Kirkman offers a product called Calcium with Vitamin D-3 Unflavored Powder, a hypoallergenic dietary supplement that provides 100% of the daily recommended value of calcium, along with vitamin D3 to support optimal calcium absorption and overall health. 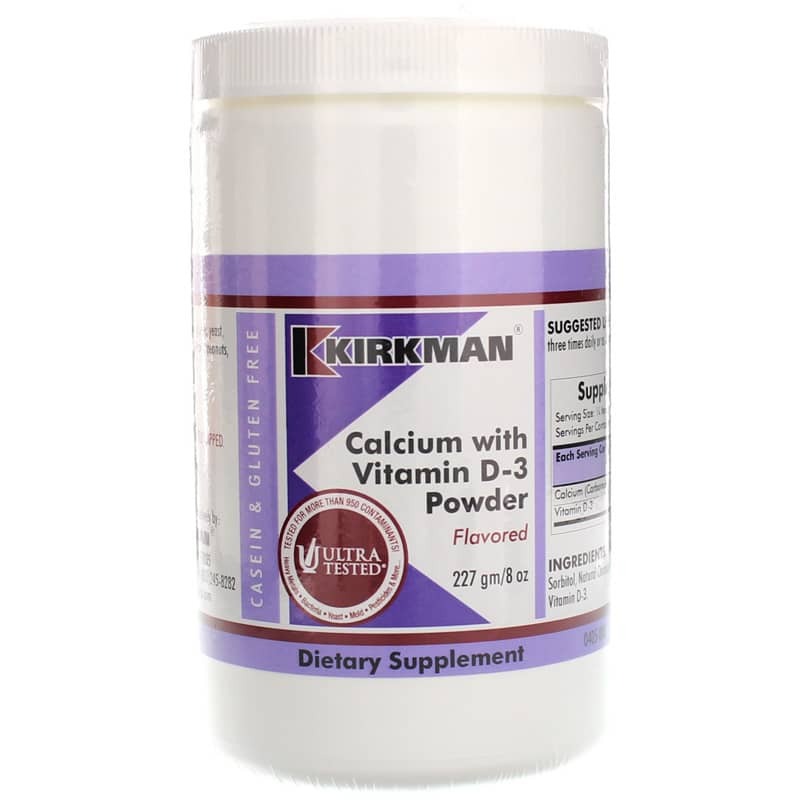 Every batch of Calcium with Vitamin D-3 Unflavored Powder from Kirkman is hypoallergenic. 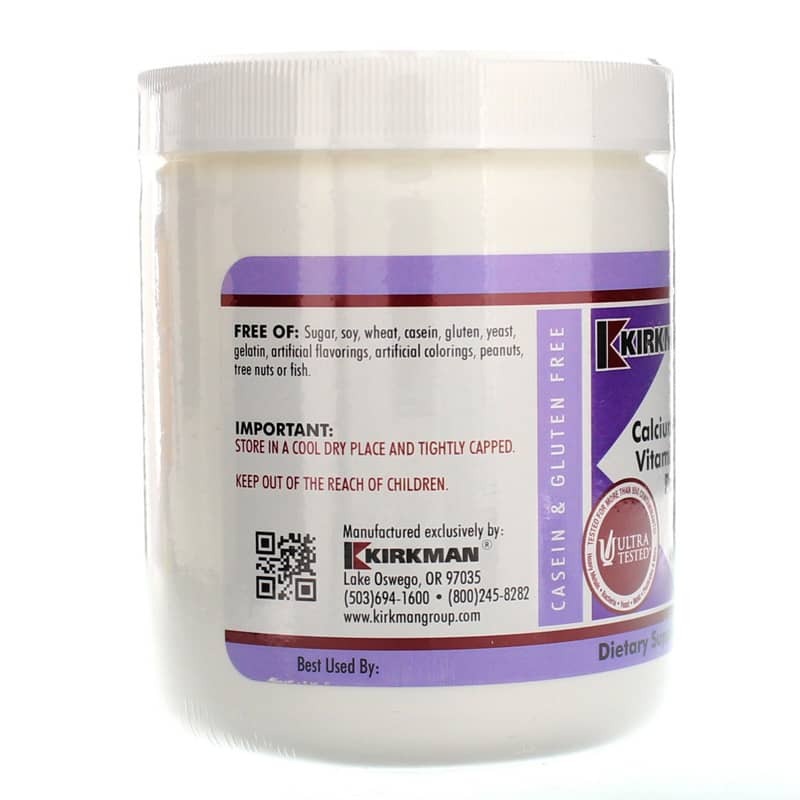 It's made without the use of most common food allergens, and contains no artificial colors, preservatives, or flavors of any kind. Make the right choice to support your bones. 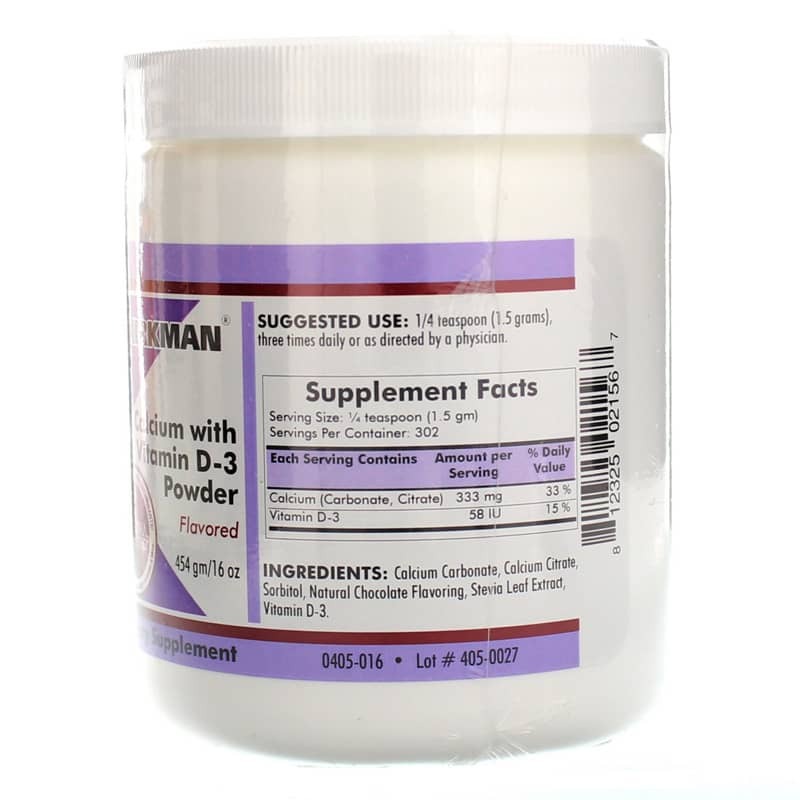 Give Calcium with Vitamin D-34 Unflavored Powder a try today. Order now! 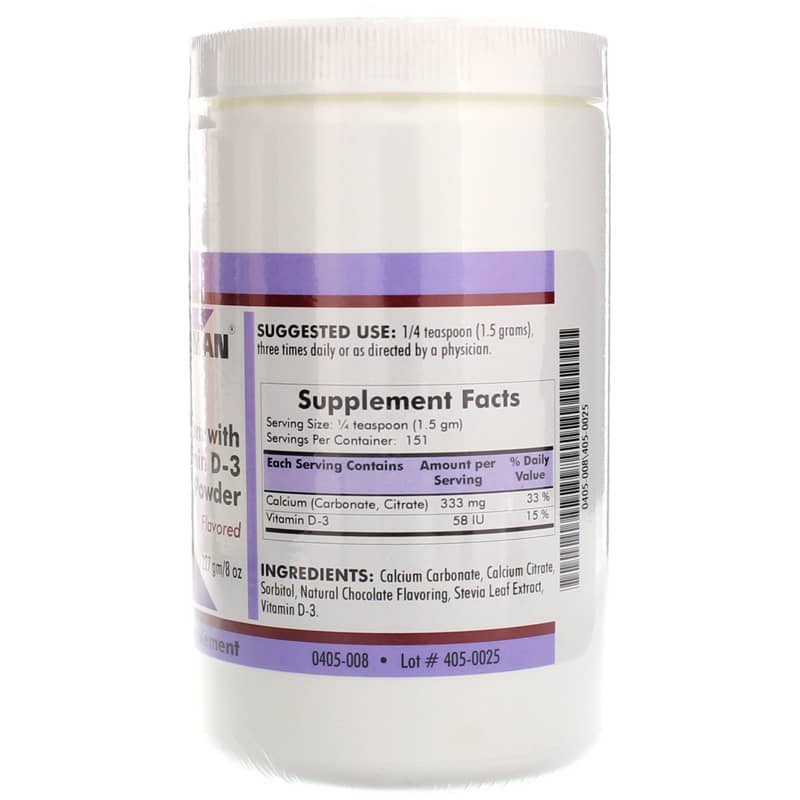 Ingredients: Calcium Carbonate, Calcium Citrate, Vitamin D-3. 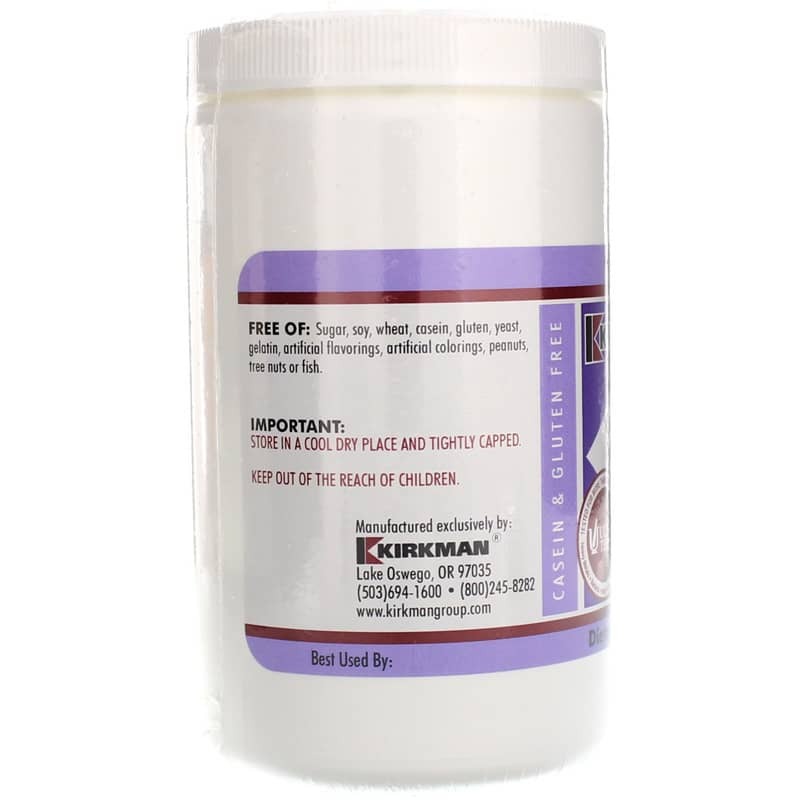 Contains NO: Sugar, soy, wheat, casein, gluten, milk, corn, egg, yeast, gelatin, artificial flavorings, artificial colorings, peanuts, tree nuts, or fish. Adults: 1/2 teaspoon (3 grams) daily or as directed by a physician. I like the powder as it is absorbed into your body faster. It has no taste and goes down great! I will be purchasing this calcium again.